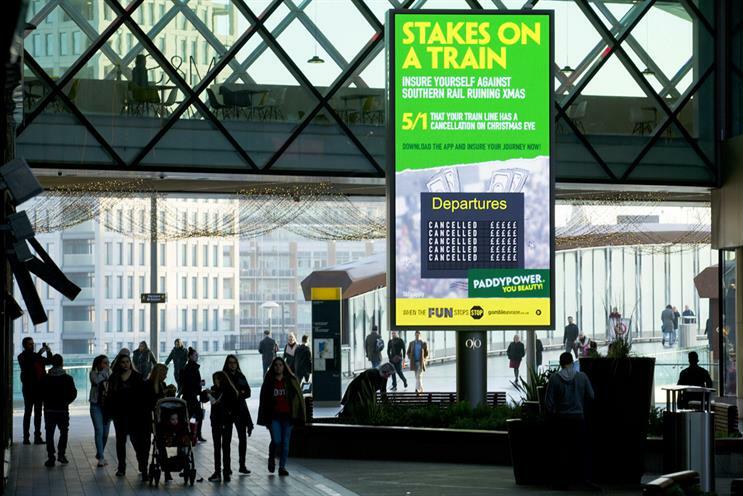 Paddy Power is giving Southern Rail passengers the chance to mitigate the train company's unreliable services by placing a bet that their train home on Christmas Eve will be cancelled. For each of the 32 routes operated by Southern, the bookmaker is offering odds of 5/1 that there will be at least one cancellation on that route tomorrow, based on trains scheduled to run according to the official timetable. A spokesman said: "The news has been dominated recently by Southern’s fails, and we wanted to rail back against them. After all, this is a company who have just announced yet another price hike for 2017 – it’s about time we told them to take a hike of their own. "This way, if commuters are stuck on Christmas Eve, at least they’ll get some money in their pocket. You Beauty!" Southern Rail has the worst reliability figures of any train operator in the UK, with only 56% of its trains arriving on time.